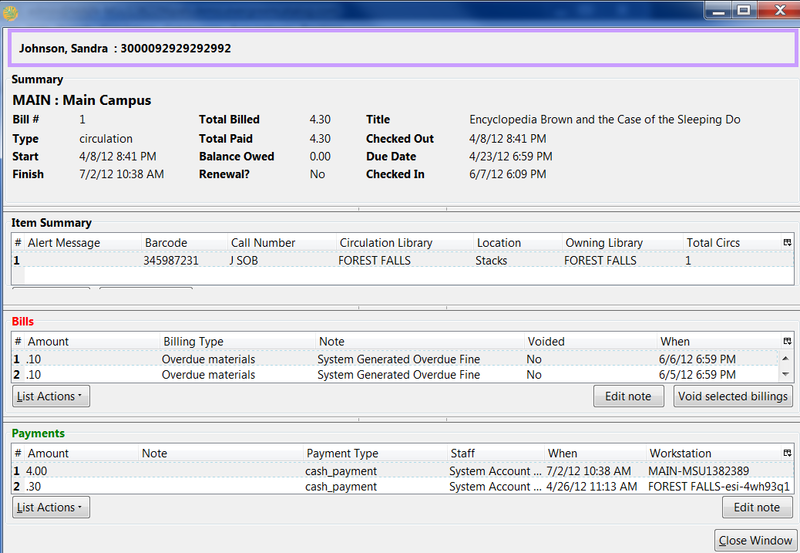 When an item is marked as lost, bills may be automatically generated to cover the item’s cost and a processing fee, according to library policy. 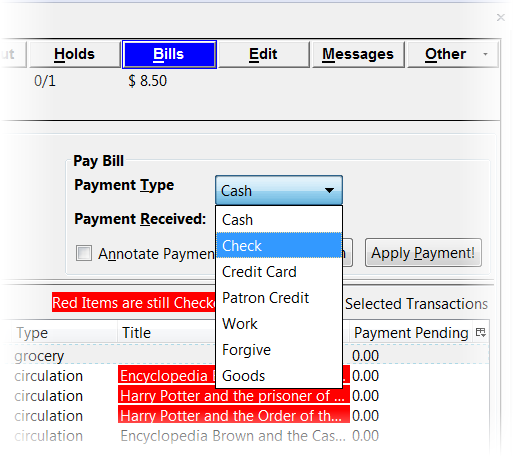 It is possible to convert change due to a patron credit by selecting the Convert Change to Patron Credit checkbox. Void clears all history of the bill, while forgive retains the history. 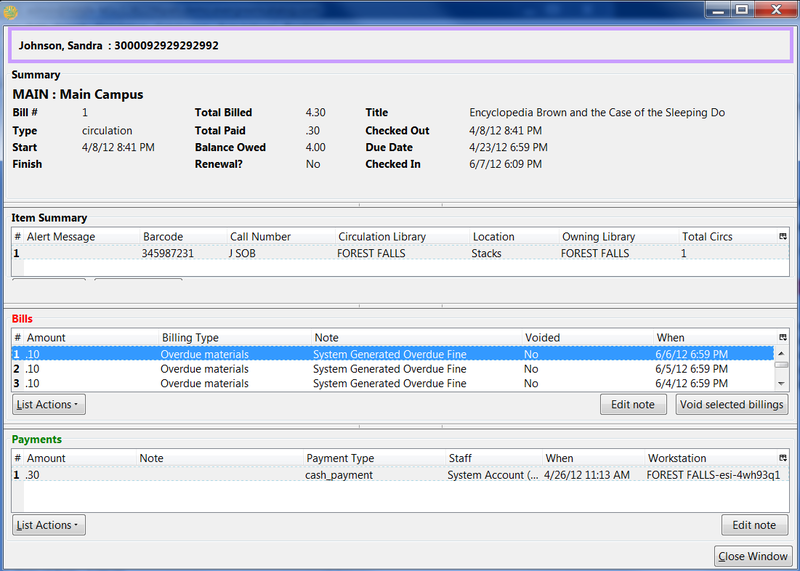 This enhancement enables Evergreen to sort money columns numerically in the billing interface. 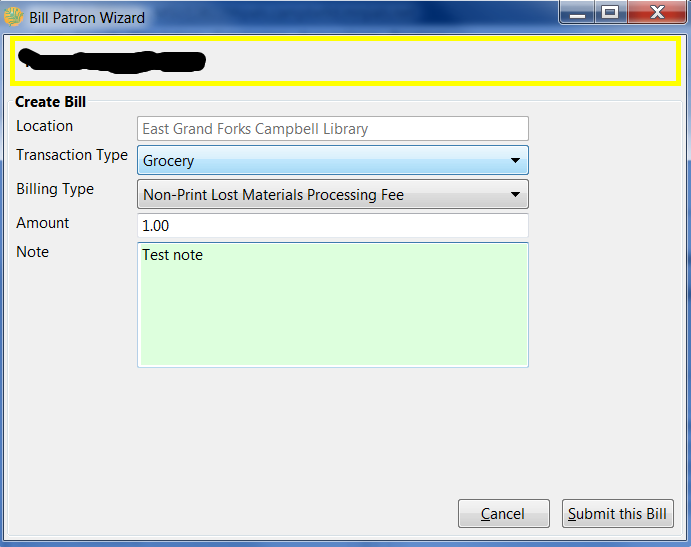 You can perform an ascending or descending sort on these columns. 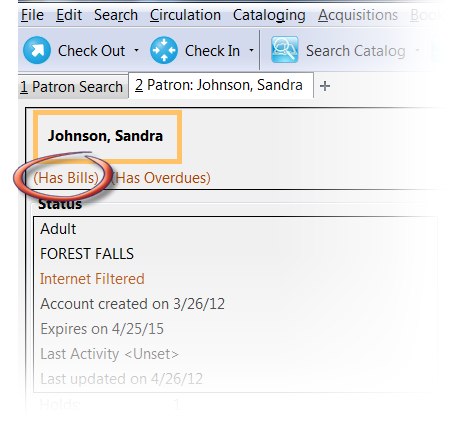 To view and sort patron bills, retrieve the patron’s account, and click the Bills tab in the top right corner of the screen. 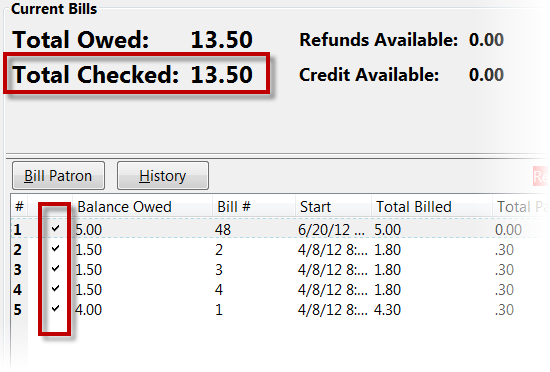 You can view the money that is owed or paid in the "Total Billed" and Total Paid columns. 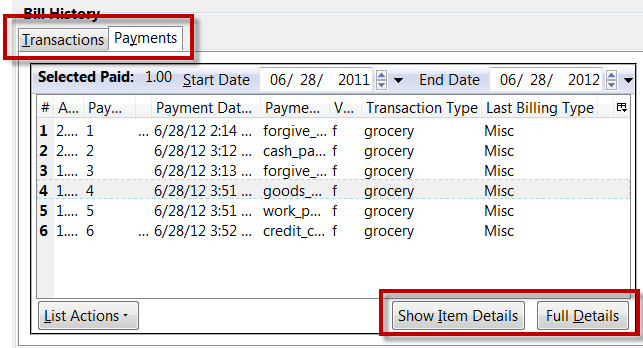 Simply click on the headers of these columns to sort the columns numerically.